Chanteclers reflect their environment. Hardy, rugged, and ready to face the cold, they prefer the outdoors to confinement. A little high strung, they will tolerate the coop but will grow temperamental when confined for long periods of time. Owners rate Chanteclers as non-aggressive toward humans. If handled early, they prove amenable to training. The hens have broody tendencies. However, once the eggs hatch, they make good mothers. 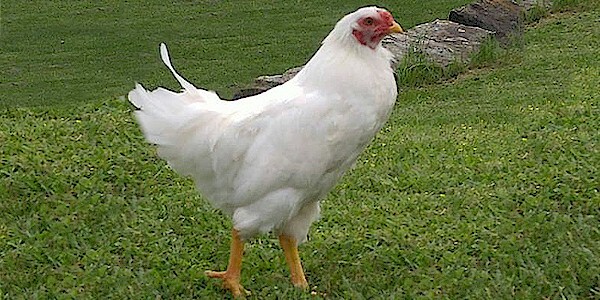 Chantecler chickens were developed originally with white plummage but they can be found in buff and partridge. They sport a small cushion comb and diminutive wattles purposefully introduced to the breed to avoid frostbite. A tall and meaty fowl with abundant plumage, the average Chantecler weighs seven or eight pounds. Only choose Chanteclers if you live in a cold climate with long winters. Feed them ad libidum with a high quality layer food that supplements the calcium and protein lost in their prodigious egg production. Give your Chanteclers plenty of room to roam and forage. Build a large coop with adequate space for the occasional times of confinement. Keep confinement times to a minimum. Breed and cull the rare Chanteclers carefully with the goal of increasing the breed's quality and numbers.